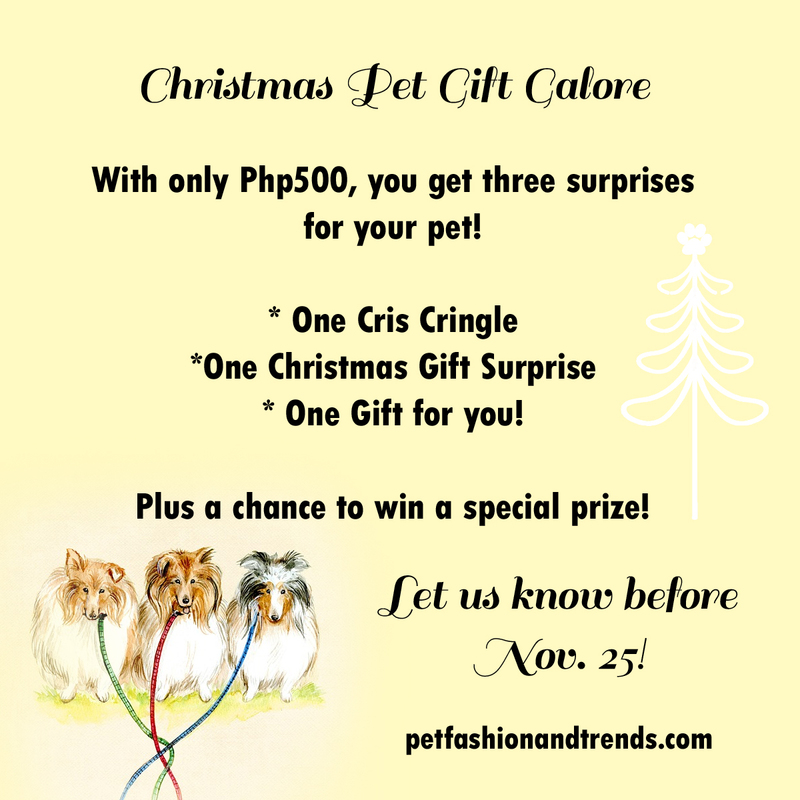 Pet Fashion and Trends Philippines: Christmas Pet Gift Galore! What can I get with Php500? 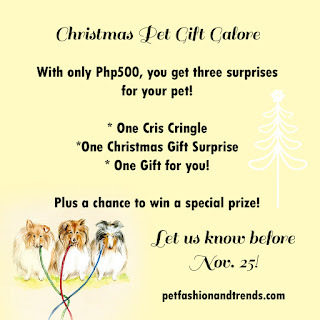 - One Christmas Gift for your pet sent on the second week of December. >Pay between now and Nov. 25. >This is good for one pet. >All gifts are SURPRISES so we can't tell you what they are. But we guarantee they are for pet lovers and pets. All items are Baby Moon recommended. >Once paid, no return or exchange. Be a good pet friend and re-gift it to your other pet friends. >One winner will get a special collection from our Royal Holiday Collection. Game? Let us know and we'll send out the forms. The earlier you reserve, the more chances you get in winning our raffle.